These upcoming events are sponsored by or affiliated with our advertisers. 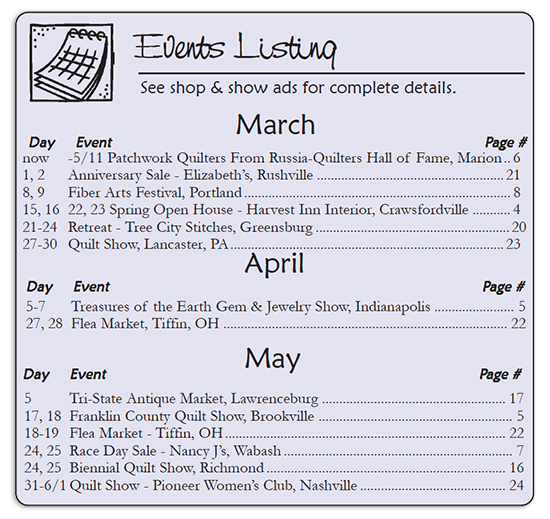 To contact individual shops regarding details of their events, refer to their listing on our Advertisers page.Be sure to like our Facebook page for news and events! from our website. Click on the advertiser's name above and you will be taken to their website or Facebook page.